Providing temporary housing to support student endeavors. Current Texas A&M students looking for temporary summer housing to stay with Aggie Hostel. Our Hostel is designed for students needing housing before or after attending Fish Camp, international students needing temporary housing upon arriving in the U.S., or students in town for other academic-related reasons during the summer. 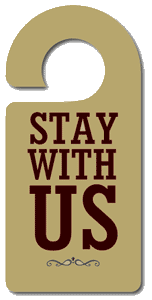 All students requesting to stay must have a 9-digit Texas A&M University Identification Number (UIN). Due to limited housing space, students may request to stay a maximum of three-nights and will not be allowed to arrive earlier or depart later than the specified selected dates. If you would like to stay more than 3 nights, please email Conference-Services@housing.tamu.edu to discuss this possibility. Aggie Hostel is available from July 1 to August 5, 2018. All students must move out of their hostel room by noon of August 6. Rooms are set up as double rooms and will be a residence hall on the north side of campus. No linens will be provided so students will need to bring their own sheets, pillow, pillowcase, blanket, or sleeping bag. Students will be responsible for their own dining and parking. 2019 Aggie Hostel Reservation Request Coming Soon! When you come to campus for your stay in the Aggie Hostel, you will be able to check in 5:30-8:00pm at the 24 Hour Help Desk, located in Hullabaloo Hall. Hullabaloo is located at 306 University Drive, College Station, Texas 77843. You must checkout no later than 10:00am.